Book Review: Chinese Overseas Students and Intercultural Learning Environments. [with Ivan Botev]. Ryūgaku: Explorations in Study Abroad . 11 (2). 38-42. Book Review: Developing Interactional Competence in a Japanese Study Abroad Context. [with Ivan Botev]. Ryūgaku: Explorations in Study Abroad . 11 (2). 43-46. An Information Theory Perspective on Study Abroad: Evidence from Taiwan & Japan. Ryūgaku: Explorations in Study Abroad . 10 (1). 2-11. Online Identities of Taiwanese and Japanese EFL Learners. Toyo Daigaku Keizai Ronshuu. 43 (2). 1-21. Linguistic Identity: What is it? Why is it important? And how can it be learned?. In S. Ichida (Ed.) 東洋大学人間科学総合研究所特別研究「多文化理解と言語教育」2016年度成果報告書. [Toyo University Human Sciences Research Institute Special Research "Multicultural Understanding and Language Education" 2016 Summary] (p. 42 - 56). Tokyo, Japan: Toyo University. Book Review: Student Learning Abroad: What Our Students Are Learning, What They’re Not, and What We Can Do About It. Edited by M. Vande Berg, R. Paige & K. Lou. Ryūgaku: Explorations in Study Abroad . 10 (1). 14-16. Introducing Study Abroad On Screen: English Vinglish. Ryūgaku: Explorations in Study Abroad . 9 (2). 16–27. Book Review: Assessing Study Abroad: Theory, Tools and Practice Edited by Victor Saviki & Elizabeth Brewer. Ryūgaku: Explorations in Study Abroad . 9 (2). 13-15. 海外留学の展望: 毛利章子氏へのインタビュー. Ryūgaku: Explorations in Study Abroad. 9 (2). 29 – 32. Study abroad perspectives: An Interview with Akiko Mohri. Ryūgaku: Explorations in Study Abroad. 9 (2). 33 - 36. Designing Study Abroad Pre-Departure Trainings. with Andy Hockersmith. Ryūgaku: Explorations in Study Abroad . 9 (1). 2 – 12. Text Review: Passport 2: English for International Communication. by Angela Buckingham and Lewis Lansford. Ryūgaku: Explorations in Study Abroad . 9 (1). 20 – 22. Book Review: Study Abroad for Dummies by Erin E. Sullivan. (with Karen Yabuno) Ryūgaku: Explorations in Study Abroad . 9 (1). 13 – 14. Classroom Activity: Student Study Abroad Interview Project. Ryūgaku: Explorations in Study Abroad . 9 (1). 21 – 24. A contrastive case study of four Japanese language teachers in Taiwan. In S. Kakimoto (Ed.) Tōyō Daigaku Ningen Kagaku Kenkyūjo Tokubetsu Kenkyū Purojekkuto "Ibunka Rikai to Gengo Kyōiku" 27-Nendo Seika Hōkoku-Sho. [Toyo Univ. Human Science Inst. Special Research Project: Cross-Cultural Understanding & Language Learning - 2015 Report]. 23 - 30. [Co-authored with Xu Sanyi]. Fostering Strategic Competence among University English Students: A Mini-Lesson Pilot Study. In S. Kakimoto (Ed.) Tōyō Daigaku Ningen Kagaku Kenkyūjo Tokubetsu Kenkyū Purojekkuto "Ibunka Rikai to Gengo Kyōiku" 27-Nendo Seika Hōkoku-Sho. [Toyo Univ. Human Science Inst. Special Research Project: Cross-Cultural Understanding & Language Learning - 2015 Report]. 6 - 7. Book Review: Multiple Perspectives on the Self in SLA Edited by S. Mercer & M. Williams [with Anna Ogawa] Ryūgaku: Explorations in Study Abroad . 8 (2). 16 – 18. Book Review: Social and Cultural Aspects of Language Learning in Study Abroad Edicted by C. Kinginger Ryūgaku: Explorations in Study Abroad . 8 (2). 3 – 6. Study abroad perspectives: An Interview with Celeste Kinginger. Ryūgaku: Explorations in Study Abroad Vol. 8. No. 2. (p. 7 – 12). Text Review: Study Abroad! by K. Tsuji, S. Tsuji, & M. Lieb. Ryūgaku: Explorations in Study Abroad . 8 (2). 19 – 22. Book Review: Intercultural journeys from study to residence abroad by Jane Jackson [with Allan Goodwin] Ryūgaku: Explorations in Study Abroad . 8 (1). 6 – 8. Scaffolding the meta-language of study abroad. Ryūgaku: Explorations in Study Abroad . 8. (1). 21 – 30. Evidence for and against Rexeisen’s Boomerang Hypothesis among study abroad returnees [with Russell Hubert] Ryūgaku: Explorations in Study Abroad . 7 (2). 2 – 7. Book Review: Language, identity and study abroad: Sociocultural perspectives by Jane Jackson [with Allan Goodwin] Ryūgaku: Explorations in Study Abroad . 7 (2). 8 – 10. Book Review: Second language identity in narratives of study abroad by Benson, Barkhuizen, Bodycott, & Brown. Ryūgaku: Explorations in Study Abroad . 7 (2). 15 – 17. Study abroad research artifacts: Exploring the effects of survey implicature in a Likert agreement scale with Ken Groger. Ryūgaku: Explorations in Study Abroad . 7 (1). 2 – 23. Text Review: Travel Abroad Project by Richard McMahon. Ryūgaku: Explorations in Study Abroad . 7 (1). 38 – 41. Book Review: Study abroad programs and their effect on possible Language 2 selves development and language learning strategies by Maria Villalobos-Buehner. Ryūgaku: Explorations in Study Abroad . 6 (2). 12 – 15. 海外留学の展望: 丸山勇氏へのインタビュー. Ryūgaku: Explorations in Study Abroad . 6 (2). 30 – 32. Study abroad perspectives: An Interview with Isamu Maruyama. Ryūgaku: Explorations in Study Abroad . 6 (2). 33 – 35. Student washback from tertiary standardized English proficiency exit requirements in Taiwan. with Yiching Pan. Journal of Teaching and Learning . 9 (1). (16 pages). Study abroad, survey-tests, micro-narratives, and item types: Investigating the interface. with Ken Groger. Ryūgaku: Explorations in Study Abroad . 6 (1). 2 – 21. Book Review: Analyzing qualitative data: Systematic approaches by H. R. Bernard & G. W. Ryan. Ryūgaku: Explorations in Study Abroad . 6 (1). 27 – 29. Exit exams as levers for educational policies: Taiwan's attempt at English proficiency benchmark settings. with Yiching Pan. Hong Kong Journal of Applied Linguistics . 14 (1). 69 – 88. Book Review: The first time effect: The impact of study abroad on college student intellectual development by Joshua S. McKeown. Ryūgaku: Explorations in Study Abroad . 5 (3). 11 – 12. 教育におけるグローバリゼーション : 河原俊昭氏とスティーブ·マッカーティ氏によるパネルインタビュー. Ryūgaku: Explorations in Study Abroad . 5 (3). 13 – 18. Study abroad perspectives and educational globalization: A panel interview with Toshiaki Kawahara & Steve McCarty. Ryūgaku: Explorations in Study Abroad . 5 (3). 19 – 24. Book Review: Language learning and study abroad: A critical reading of the research by Celeste Kinginger. Ryūgaku: Explorations in Study Abroad . 5 (2). 15 – 17. Study abroad perspectives: An Interview with Eton Churchill. Ryūgaku: Explorations in Study Abroad . 5 (2). 18 – 20. Do tests promote changes in listening and reading skills? Evidence from a Taiwanese EFL context. with Yiching Pan. The International Journal of Foreign Language Teaching . 7 (3). 3 – 13. Tertiary EFL proficiency graduation requirements in Taiwan: A study of washback on learning. with Yiching Pan. Electronic Journal of Foreign Language Teaching . 9 (1). 108 – 122. Gender issues in study abroad. 東洋大学人間科学総合研究所プロジェット研究　報告書：学習者の視点に立った異文化理解と外国語教育 . (p. 23 - 36). A contrastive case study of two study abroad participants: Exploring the interface between L2 identity and L2 motivation. 東洋大学人間科学総合研究所プロジェット研究　報告書：学習者の視点に立った異文化理解と外国語教育 . (p. 59 - 74). Overcoming common misconceptions about study abroad. 東洋大学人間科学総合研究所プロジェット研究　報告書：学習者の視点に立った異文化理解と外国語教育 . (p. 123 - 134). Directions in study abroad motivational research. Ryūgaku: Explorations in Study Abroad . 5 (1). 2 - 13. 海外留学の展望 浅井宏純氏へのインタビュー. Ryūgaku: Explorations in Study Abroad . 5 (1). 27 - 31. Study abroad perspectives: An interview with Hirozumi Asai. Ryūgaku: Explorations in Study Abroad . 5 (1). 32 - 40. Teacher and student washback on test preparation evidenced from Taiwan's English certification exit requirements. with Yiching Pan. International Journal of Pedagogies and Learning . 6 (3). 260 - 272. Assessment Literacy Quiz #11. JALT Testing and Evaluation SIG Newsletter . 15 (2). 30 - 42. Critical incidents in study abroad: Some contrasting multidisciplinary perspectives. Ryūgaku: Explorations in Study Abroad. . 4 (1). 11 - 18. Book Review: College Admissions for the 21st Century. by Robert J. Sternberg. JALT Testing and Evaluation SIG Newsletter . 15 (1). 7 - 9. Assessment Literacy Quiz #10. JALT Testing and Evaluation SIG Newsletter . 15 (1). 19 - 31. A case study of longitudinal attitude changes among a cohort of Japanese university students completing a short-term study abroad. Toyo University Keizai Ronshu . Vol. 35. No. 1. (p. 27 - 41). Study abroad perspectives: An interview with Elaine Gilmour. Ryūgaku: Explorations in Study Abroad . 3 (2) (p. 11 - 17). Insights in Language Testing: An interview with Shozo Kuwata. (co-authored with Noriko Saitoh) JALT Testing and Evaluation SIG Newsletter . Vol. 14. No. 2. (p. 2 - 5).
. (co-authored with Noriko Saitoh) JALT Testing and Evaluation SIG Newsletter . Vol. 14. No. 2. (p. 6 - 10). Assessment Literacy Quiz #9. JALT Testing and Evaluation SIG Newsletter . Vol. 14. No. 1. (p. 24 - 35). Proceedings of the 2009 JALT Pan-SIG Conference on Second Language Acquisition . (co-edited with E. Skier) May 23-24, 2009, Chiba, Japan: Toyo Gakuen University, Nagareyama Campus. Tokyo: JALT Pan-SIG Committee. Book Review: Investigating pragmatics in foreign language learning, teaching, and testing. Ed. by E. Alcón Soler and A. Martínez-Flor. JALT Testing and Evaluation SIG Newsletter . 13 (2). 15 - 18. Assessment Literacy Quiz #7. JALT Testing and Evaluation SIG Newsletter . 13 (2). 24 - 34. Slicing through the onion: Contrasting perspectives on a recent academic event. Toyo University Institute of Human Science Journal. Vol 11. (p. 82 - 91). Assessment Literacy Quiz #6. JALT Testing and Evaluation SIG Newsletter . 13 (1). 31 - 41. Proceedings of the 2008 JALT Pan-SIG Conference on Second Language Acquisition . (co-edited with P. Wanner & M. Kawate-Mierzejewska) May 10-11, 2008, Kyoto, Japan: Doshisha University Shinmachi Campus. Tokyo: JALT Pan-SIG Committee. Book Review: Teaching Chinese, Japanese, and Korean heritage students: Curriculum needs, materials, and assessment. Ed. by Kimi Kondo-Brown & James Dean Brown. TESOL-EJ . 12 (1). R5. Book Review: Perspectives on teaching connected speech to second language learners. Ed. by James Dean Brown & Kimi Kondo-Brown. On CUE Journal . 2 (1). 69 - 71. Book Review: Language testing reconsidered. Edited by Janna Fox, Mari Wesche, Doreen Bayliss, Liying Cheng, Carolyn E. Turner, Christine Doe, & the Univ. of Ottawa Press. JALT Testing and Evaluation SIG Newsletter . 12 (2). 17 - 20. 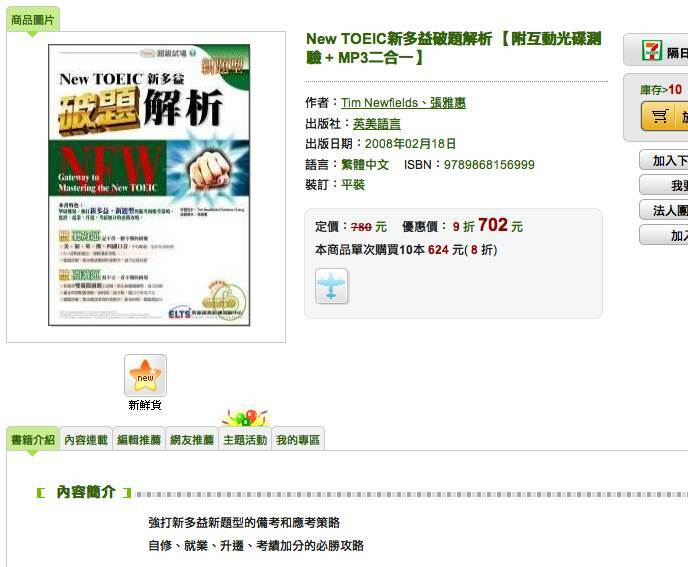 Opinion Piece: The 'New' TOEIC®. with Mark Chapman. JALT Testing and Evaluation SIG Newsletter . 12 (2). 32 - 37. Assessment Literacy Quiz #5. JALT Testing and Evaluation SIG Newsletter . 12 (2). 44 - 54. Book Review: Language testing: The social dimension. JALT Testing and Evaluation SIG Newsletter . 12 (1). 15 - 17. Assessment Literacy Quiz #4. JALT Testing and Evaluation SIG Newsletter . 12 (1). 19 - 20. Proceedings of the 2007 JALT Pan-SIG Conference on Second Language Acquisition . (co-edited with I. Gledall, M. Kawate-Mierzejewska, & P. Wanner) May 12-13, 2007, Sendai, Japan: Tohoku Bunka Gakuen University. Tokyo: JALT Pan-SIG Committee. (Available on CD-ROM). Book Review: Language testing and assessment: An advanced resource book. JALT Testing and Evaluation SIG Newsletter . 11 (2). 6 - 8. Insights in Language Testing: An interview with Glenn Fulcher. JALT Testing and Evaluation SIG Newsletter . 11 (2). 9 - 17. Engendering assessment literacy: Narrowing the gap between teachers and testers. Assessing Foreign Language Performances: Proceedings of the 2007 KELTA International Conference . Seoul, Korea: Korea English Language Testing Association. (p. 22 - 42). People in materials writing: An interview with Allen Ascher. Between the Keys: The JALT Material Writers SIG Newsletter . 15 (1). 4 - 7. Game theory approaches to grading: An experiment with two incentive point systems. Toyo University Keizai Ronshu . 32 (2). 33 - 43. A Review of two Books about standardized testing. JALT Testing and Evaluation SIG Newsletter . 11 (1). 26 - 29. に本における人権問題：社団法人アムネスティ　インターナションル日本寺中真事務局長へのイナタビュー. [Human Rights in Japan: An interview with Makoto Teranaka, Office Manager of Amnesty International Japan]. Gendai Shakai Kenkyuu . Vol. 4. (p. 109 - 113). Book: Open sesame - Gateway to mastering the TOEIC®. 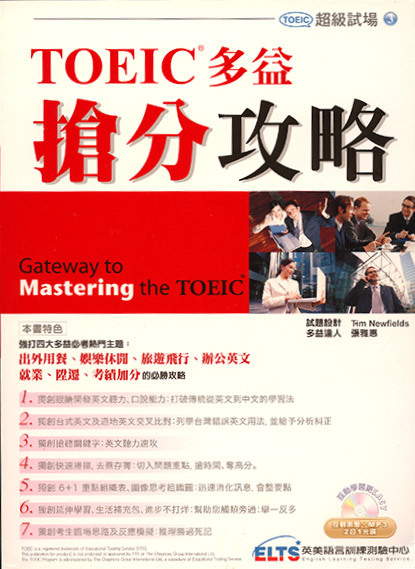 [A TOEIC study book for Chinese EFL students co-authored with Chang Yahui]. Taipei: English Learning Service Group. [ISBN: 978-986-81569-6-8]. Book Review: The testing trap: How state writing assessments control learning. by George Hillocks, Jr. JALT Testing and Evaluation SIG Newsletter . 10 (2). 12 - 16. Teacher development and assessment literacy. In T. Newfields, I. Gledall, M. Kawate-Mierzejewska, Y. Ishida, M. Chapman, & P. Ross (Eds.) Proceedings of the 2006 JALT Pan-SIG Conference on Authentic Communication (p. 48 - 73). May 13-14, 2006, Shizuoka, Japan: Tokai University. Tokyo: JALT Pan-SIG Committee. (Available on CD-ROM). Proceedings of the 2006 JALT Pan-SIG Conference on Authentic Communication. May 13-14, 2006, Shizuoka, Japan: Tokai University. (co-edited with Ian Gledall, Megumi Kawate-Mierzejewska, Yvonne Ishida, Mark Chapman, & Peter Ross). Tokyo: JALT Pan-SIG Committee. (Available on CD-ROM). Minoria-Majoria: Revisiting an Old Simulation. SIETAR Japan Newsletter. (p. 11 - 12). Towards human dignity: An interview with Dr. Evelin Lindner. SIETAR Japan Newsletter. (p. 26 - 27). Proceedings of the 2005 JALT Pan-SIG Conference on Lifelong Learning. May 14-15, 2005, Tokyo Keizai University. (co-edited with Peter Ross, Yvonne Ishida, Mark Chapman, & Megumi Kawate-Mierzejewska). Tokyo: JALT Pan-SIG Committee. (Available on CD-ROM). New English PAL 1. (2nd Ed.) . [a MEXT-approved high school English textbook]. (proofreader). Tokyo: Kirihara Shoten. Teaching Alternative debate in Japanese university contexts. Toyo University Keizai Ronshu . 31 (2). 111 - 126. An interview with Steve Shallhorn. The Journal of Contemporary Social Sciences . Vol. 3. (p. 73 - 76). TOEIC® washback effects on teachers: A pilot study at one university faculty. Toyo University Keizai Ronshu . 31 (1). 83 - 106. Some preliminary thoughts on statistics and background information on SPSS (Part 3). (co-authored with H.P.L. Molloy). JALT Testing and Evaluation SIG Newsletter . 9 (2). 2 - 7. Book Review: Statistical analyses for language assessment. by Lyle F. Bachman. JALT Testing and Evaluation SIG Newsletter . 9 (2). 29 - 30. Insights in Language Testing: An interview with Michael Todd Fouts. JALT Testing and Evaluation SIG Newsletter . 9 (2). 21 - 22. Some preliminary thoughts on statistics and background information on SPSS (Part 2). with H.P.L. Molloy. JALT Testing and Evaluation SIG Newsletter . 9 (1). 2 - 6. Book Review: Washback in language testing: Research contexts and methods. Edited by Liying Cheng, Yoshinori Watanabe, and Andy Curtis. JALT Testing and Evaluation SIG Newsletter . 9 (1). 8 - 10. Insights in Language Testing: An interview with Yoshinori Watanabe. JALT Testing and Evaluation SIG Newsletter . 9 (1). 5 - 7. Proceedings of the 2004 JALT Pan-SIG Conference Conference on the Interface between Interlanguage, Pragmatics and Assessment, May 22 -23, 2004, Tokyo Keizai University. (co-edited with Yvonne Ishida, Mark Chapman, & Mayumi Fujioka). Tokyo: JALT Pan-SIG Committee. (Available on CD-ROM). Book Review: Assessing young learners – Thinking activities for second language students by Sophie Ioannou-Georgious & Pavlos Pavlou. Teachers Learning with Children. 9 (4). 43 - 46. Some preliminary thoughts on statistics and background information on SPSS (Part 1) (co-authored with H.P.L. Molloy). JALT Testing and Evaluation SIG Newsletter . 8 (2). 2 - 6. Proceedings & Supplement of the 2nd Peace as a Global Language Conference , Sep. 27-28, 2003, Seisen University. (co-edited with Kim Bradford-Watts, Tim Denny, Keiko Kikuchi & Kazkuya Asakawa). Tokyo: PGL2 Committee. (Available on CD-ROM). Deconstructing Cinderella - Helping students explore their personal myths. 2nd Peace as a Global Language Conference Proceedings & Supplement , (p. 38 - 50). Tokyo: PGL2 Committee. People in Materials Writing: An interview with Marc Helgesen. Between the Keys , Vol. 12, No. 1, (p. 10 - 12). Tokyo: JALT Material Writers SIG. Proceedings of the 2003 JALT Pan-SIG Conference, May 10-11, 2003, Tokyo Keizai University. (co-edited with Sayoko Yamashita, Anne Howard, & Carol Rinnert). Tokyo: JALT Pan-SIG Committee. Book Review: Criterion-reference Language Testing by J. D. Brown and Thom Hudson. JALT Testing and Evaluation SIG Newsletter . 7 (3). 8 - 11. Curriculum innovation, testing and evaluation: Proceedings of the 2002 JALT Pan-SIG Conference, May 11-12 2002, Kyoto Institute of Technology. (co-edited with Alan S. MacKenzie). Tokyo: JALT CUE & TEVAL SIGs. (ISBN 4-901352-07-5). Proceedings & Supplement of the 1st Peace as a Global Language Conference , Sep. 28-29, 2002, Daito Bunka University Hall. (co-editor with Keiko Kikuchi & Kazkuya Asakawa). Tokyo: PGL1 Committee. (Available on CD-ROM). Applying the step forward activity to EFL contexts. 1st Peace as a Global Language Conference Proceedings & Supplement. Tokyo: PGL1 Committee. (p. 7 - 15). Insights in Language Testing: An interview with J. D. Brown. JALT Testing and Evaluation SIG Newsletter . Vol. 7. No. 1. (p. 10 - 13). Helping students acquire academic writing skills. Journal of Nanzan Junior College. Vol. 30. (99 - 120). Book Review: A focus on language test development Ed. by Thom Hudson & JD Brown. TESL-EJ . 6 (2). (R-8). Opinion Piece: Challenging the notion of face validity. JALT Testing and Evaluation SIG Newsletter . 6 (3). 14. Insights in Language Testing: An interview with Michihiro Hirai. JALT Testing and Evaluation SIG Newsletter . 6 (3). 11 - 13. Insights in Language Testing: An interview with Liz Hamp-Lyons. JALT Testing and Evaluation SIG Newsletter . 6 (2). 3 - 4. Insights in Language Testing: An interview with Gholam Reza Haji Pour Nezhad. JALT Testing and Evaluation SIG Newsletter . 6 (1). 11 - 12. NaZa NaZa: A classroom adaptation of a cross-cultural training session. Nagoya, Japan: Journal of Nanzan Junior College. Vol. 29. (p. 107 - 129). Teaching summarizing skills: Some practical hints. ELJ Journal . 2 (2). 1 - 7. Book Review: Assessing language for specific purposes by Dan Douglas. JALT Testing and Evaluation SIG Newsletter . 5 (3). 7 - 8. The state of the art in LSP testing: An interview with Dan Douglas. JALT Testing and Evaluation SIG Newsletter . 5 (3). 9 - 12. Presentation Report: Language for specific purpose testing: The state of the art. Japan Language Testing Assoc. Newsletter No. 10 . (p. 3 - 4). An interview with Randy Thrasher. JALT Testing and Evaluation SIG Newsletter . 5 (2). 11 - 12. The native speaker concept in ELT - A review of three books. Explorations in Teacher Education . 8 (2). 12 - 14. (also published in Gakushuu no Gakushuu in Dec. 2000). Creative note taking and study skills. Nagoya, Japan: Journal of Nanzan Junior College. Vol. 28. (p. 59 - 78). 8 tips towards better listening. Interactive English Digest. 2 (1). 4 - 7. Process and product approaches in EFL composition: Connecting _how_ with _what_. Proceedings of the Academic Conference on "Bridging the Centuries". Taipei, Taiwan: Ming Chuan University. March 12-13, 1999. (p. 45 - 51). Reading for purpose. Interactive English Digest . 1 (6). 7 - 8. One Sentence Writing Workshop. Taipei, Taiwan: Mandarin Daily. with Y. Chang. Poem: Peacemaking. Global Issues in Language Education. No. 34. (p. 18). Tips for teaching children English at home. Interactive English Digest . 1 (4). 4 - 8. Internet multimedia resources for language learners. with Randall Davis. The Language Teacher . 22 (8). 45 - 47). Book Review: Multimedia language teaching. with Randall Davis. TESL-EJ 3 (2). Experiential-based roleplays for social awareness. Global Issues in Language Teaching. Issue No. 30. (p. 12 - 14). Shimizu Profiles: The Suzuki Yohei Legacy. Shimizu, Japan: Salad Bowl. 6 (2). 1 - 4. Historic Sites in Shimizu: Munakata Shrine. Shimizu, Japan: Salad Bowl. 6 (2). 1 - 4. インターネットで清水へアクセス (in Japanese). Shimizu Shimin Koe no Kai. Issue No. 9. (p. 8). Shimizu Profiles: Koikawa Harumachi. Shimizu, Japan: Salad Bowl. 6 (1). 1 - 4. Historic Sites in Shimizu: Myoukeiji Temple. Shimizu, Japan: Salad Bowl. 6 (1). 1 - 4. Video resources in cyberspace. with Randall Davis. TESOL Matters . 7 (6). 16. To teach. Explorations in Teacher Education . 5 (4). 3. Shimizu Profiles: Tanaka Chigaku. Shimizu, Japan: Salad Bowl. 5 (11). 1 - 6. Historic Sites in Shimizu: Akiwa San. Shimizu, Japan: Salad Bowl. 5 (11). 1 - 4. Shimizu Profiles: Wada Eisaku. Shimizu, Japan: Salad Bowl. 5 (10). 1 - 4. Computer literacy: Issues and approaches. CALL: Basics and Beyond. Proceedings of the 2nd Annual JALT CALL SIG Conference at Chubu University, Japan. Ed. by Paul Lewis and Shiozawa Tadashi. (p. 63 - 68). Historic Sites in Shimizu: Yagumo Shrine. Shimizu, Japan: Salad Bowl. 5 (9). 1, 2. Shimizu Profiles: Matsumae Shigeyoshi. Shimizu, Japan: Salad Bowl. 5 (8). 1 - 6. Ibunka Komyunikeeshon to Haragei (in Japanese). University of Shizuoka: Kendai Net. No. 4. (p. 2). Classroom Perspectives on the Internet. The Language Teacher. 21 (5). 42 - 49. Fostering critical inquiry in classrooms. Kusanagi Net. No. 6. (p. 1). Shimizu Profiles: Kajiwara Kagetoki. Shimizu, Japan: Salad Bowl. 5 (5). 1 - 4. Nippon Juutaku Inshouki (in Japanese). SIBA: Shizuoka International Business Association Magazine. Issue No. 27. (p. 15 - 20). Historic Sites in Shimizu: Tesshuuji Temple. Shimizu, Japan: Salad Bowl. 5 (3). 1 - 6. What have you learned from your students today?. Hamamatsu Society for English Studies: 8th Anniversary Issue. (p. 1). Shimizu Profiles: Marquis Inoue Kaoru. Shimizu, Japan: Salad Bowl. 5 (3). 1 - 3. Historic Sites in Shimizu: Seikenji Temple. Shimizu, Japan: Salad Bowl. 5 (3). 1, 2, 6. An introduction to the World Wide Web with Steve McGuire. The Language Teacher. 21 (1). 32 - 34. Takayama Chogyuu. Shimizu, Japan: The Salad Bowl. 4 (11). 1, 3. Issues in student selection for elective oral English classes. Tokai University Foreign Language Education Center Journal. Vol. 16. (p. 147 - 151). The First Steps to Internet Connectivity. The Language Teacher. 20 (10). 40 - 44. 日本人とアメリカ人の価値観の違い (in Japanese). The Kendai Net: Newsletter of the University of Shizuoka. Issue No. 2. (p. 3). 富士の理：石井東運写真集　(English translation). [The Land of Fuji: A Collection of photographs by Ishii Tohun]. Shizuoka Shinbun. JALT Presentation Report: Insights from cognitive psychology regarding grammar and communication. The Language Teacher. 20 (6). 57, 59. ESOL resources on the world wide web for Children. Teachers Learning with Children. 1 (2). 4 - 5. A Poet in Hiroshima. Sakura: Japanese Poetry Review. 3 (2). 29, 30. Book Review: The cultural politics of English as an international language. Teacher Talking to Teacher. Vol. 3. No. 3. (p. 21 - 23). Poet & Potter. Sakura: Japanese Poetry Review. 3 (1). 26. Book Review: The Emperor's New Mind: Concerning Computers, Minds, and the Laws of Physics. CALLing Japan. Vol. 3. No. 3. (p. 5 - 6). Act City Hamamatsu (English translation). Shizuoka, Japan: Shizuoka Shinbun. Oral proficiency testing: One approach for college classes. Tokai University Foreign Language Education Center Journal. Vol. 14. (p. 185 - 190). Handicap awareness training: A pilot project. Tokai University Bulletin: College of Marine Science. Vol. 20. (p. 77 - 82). 国際交流は人間性と慣れ (in Japanese). Shizuoka Shimbun . (p. 6). Productive and non-productive video Use. Video Rising. 6 (1). 11. Book Review: Neurolinguistic aspects of the Japanese writing system. METAMAPS. 2 (1). 16. Maruchi-tasukingu to Gogaku Shuutoku (in Japanese). Gakushuu no Gakushuu. 1 (1). 14. Learning strategies and language outcomes. Tokai University Foreign Language Education Center Journal. Vol. 13. (p. 141 - 146). 父と私. (English translation). Ogawa Anna Zuisoushuu . Shizuoka, Japan: Genryuu no Mura. JALT Presentation Report: Teaching children to be effective learners. The Language Teacher. 17 (4). 53. Book Review: Meaning Making: Directed reading and thinking Activities for second language students. The Language Teacher. Vol. 17. No. 2. (p. 55). GDMによる日本語教育 (in Japanese). The Language Teacher. 17 (1). 63. 異文化体験 (in Japanese). Shizuoka Shinbun. Nuclear lullaby. Poetry Nippon. Numbers 97-98. (p. 33). JALT Presentation Report: Teaching and learning the TOEFL. The Language Teacher. 15 (8). 53.